GRAHAM Chennells is a born and bred Zululander, Zulu linguist, farmer, businessman, brewer of great beer, paratrooper, former Town Councillor and Mayor of Eshowe, Duzi Canoe singles winner, Cape to Rio yachtsman, Natal rugby trialist, Natal track walking champion and general adventurer. Having started these tours more than 20 years ago, he has spent much of the last 10 years backpacking round the world, visiting – amongst other countries – Cuba, China, Thailand, Peru. He is now back to his home town and to his former hobby, demonstrating Zulu life as it is out there today as well as explaining Zulu history to interested visitors. 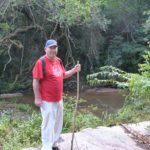 These are very personal experiences in Zululand, in which Graham is ably assisted by fellow guide Joe Mdluli, with whose family he has had a very long association. JOE Mdluli was born in a small village just outside of Eshowe. He started his education at the local Muntyedwa Primary School then completed it at the Ntabantazuma School at Ntumeni. He was trained as a guide by his brother Victor, who had a great reputation as an excellent guide and respected citizen of the area. Joe has been working full time as a guide for more than 10 years. An overnight home-stay with the Mdluli family is a real treat with Joe’s mother cooking wonderful tasty Zulu food. There is much to talk about during your stay, and that is one of the secrets of Joe’s success as a tour guide: he is a wonderful conversationalist and able to explain the various facets of Zulu life as you experience it during your stay. 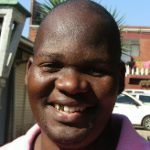 Joe will ensure that you visit a school, an orphanage, some beaders, potters, or a sangoma – or whoever else is in the Village at the time. MANA Ntuli has 16 years of experience as a birding guide, having qualified through the BLSA in 2001. 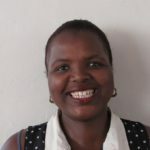 She specializes in the areas around Eshowe, including the Dlinza, Ntumeni and Ongoye Forests, the Umthunzini and Matigulu Nature Reserves and the Phobane and Umlalazi Dams. You can book Mana to accompany you on full day (07h00-17h00) or half-day (07h00-13h00) tours, and lunch packs can be booked. Two and three-day tours are also available,during the week or on weekends or public holidays and there are special rates for pensioners. For further information call (073) 910-6033 or (079) 168-8955 or e-mail manantulikambhele@gmail.com.